Students choreographed a dance routine that their college-aged mentors will put to use next month at the Northwestern University Dance Marathon. Now in its 45th year, the annual event has raised more than $20 million for charity. Saturday’s visit was organized as part of Alain Locke’s Higher Education and Career Counseling program. The event was made possible with the help of the nonprofit organization Communities in Schools of Chicago. 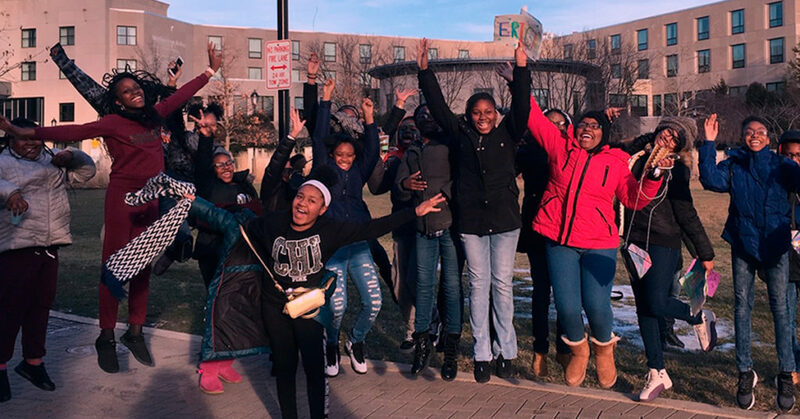 Twenty-two students in total enjoyed a mini-tour of Northwestern’s campus, as well as lunch in the dining hall and a variety of arts-based projects with their university mentors. Everyone so much enjoyed students’ dance demonstration that they were invited back for the marathon next month.